At 3M, asking “what if” is a way of life. We consider everyone a leader and provide development opportunities at each stage of your career. 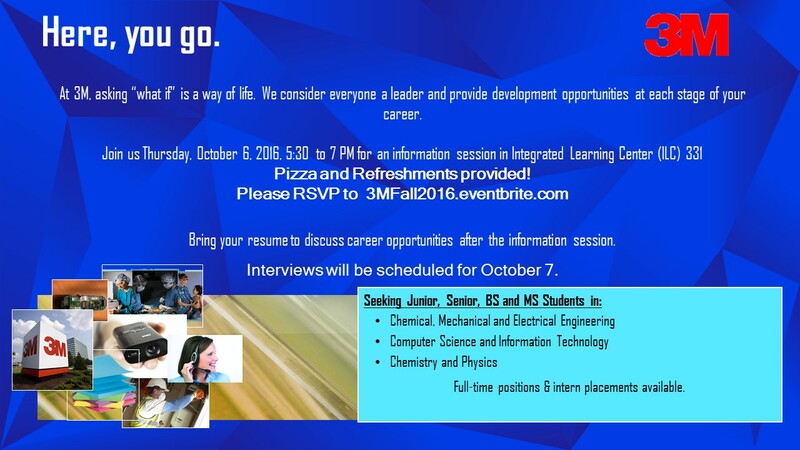 Bring your resume to discuss career opportunities after the information session.